Update: I may not be writing here but I AM still reading comments (and may comment myself occasionally.) Do not believe for a single minute that I would ever ignore the blog and allow comments that do not meet our guidelines. For both personal and professional reasons, the blog is going on a hiatus. Charlie and I will try to get up a Tuesday and Friday Open Thread and perhaps breaking news. I'll be honest; some of this is a combination of exasperation with the district and just plain exhaustion. I'm finding it less and less worth my time to advocate for this district. I'm happy to advocate for students and funding and data privacy and many other things but Seattle School District? Not so much. In the meantime, keep up the good fight; I'll be with you in spirit. Use our Assignment Lookup Tool to check your student’s school assignment for next year. To view an assignment, you will need your child’s date of birth and student ID number. If you need help finding your child’s student ID number, please call Admissions at 206-252-0760. Students are initially assigned to a designated attendance area school based on their home address, but may apply to attend a different school or program through the School Choice process. Students who are currently attending an option school or a different attendance area school through School Choice remain at that school through the highest grade served. Be you a kid or a parent, Seattle Schools wants your opinion of the food being served in our schools. Please call Sen. Braun's office at (360) 786-7638, and request that 1059 (levy cliff extension) be heard at the executive session today, rather than 5607 (Republican plan for McCleary). "I'm calling to ask that Sen. Braun report 1059 out of committee today. It is premature to vote on 5607 when so many people have not had a chance to even read it yet, but 1059 has been well vetted and already passed by the House, and its passage is critical for our schools to plan for the future. Please act on 1059 today and allow at least five days for 5607." I attended the legislative hearing at the State Senate yesterday on the levy cliff bill and the Republicans' long-awaited "plan" for McCleary. There were many parents (with children), community members, school board members and superintendents from many Puget Sound districts there to testify in support of a one-year extension for the levy cliff. One very telling moment came when words of the one lone person against the levy cliff - Washington Policy Center's Liv Finne who wagged her finger at districts for knowing this was coming and they didn't plan so, too bad - came out in a question by the Chair, Republican John Braun. He asked one superintendent how long her district had known about the levy cliff and she said it was just about as long as the Legislature had known about the McCleary ruling. Good girl. Director Geary testified in support of the levy cliff bill and Deputy Superintendent Nielsen spoke about the Republican plan. Chairman Braun must of thought he was being clever when the order of the discussion, which had been levy cliff first, got switched. So all those parents and kids had to sit through an hour and half of discussion with the threat that perhaps they wouldn't take testimony on the levy cliff bill. Good thing he thought better of that one. - one senator called this a "levy swipe" rather than "swap" because more wealthy areas would pay much more in property taxes and get fewer ed dollars. Seattle residents would pay a lot more in property taxes and get fewer state ed dollars. - districts could NOT spend more than 80% of their money on salaries. Naturally, it's a hot mess and I suspect the Republicans threw in everything and the kitchen sink, both to see what might stick and also to sow confusion. I don't know when/if the Senate will vote on the levy cliff. I testified that it should be allowed to come to a vote. There is NO way the McCleary funding can get done in time for districts to avoid massive budget cuts if the levy cliff extension is not passed. I recognize these are stressful times for many of our families. Last week, President Trump executed two executive orders related to immigration. While there are a number of implications, the two most publicized have caused many Seattle citizens to respond. One of the orders restricts residents from seven Muslim majority countries from entering the United States and the other reflects his campaign promise to build a wall on our southern border. These actions have heightened a sense of anxiety for both families and students, particularly when one of the orders resulted in detainment of numerous people over the weekend. Seattle Public Schools is home to students from 147 countries of origin and speak 143 languages/dialects. Our diversity is our strength. The detainment and potential exclusion of our Muslim, Mexican, and Latino neighbors, co-workers, and families has tested our resolve. In a surprising move, the Boy Scouts of America say they will accept any child who says he is a boy (whether his physical traits are a girl's). Interesting data article from Education Week on policing in public schools. Washington State is on the lower end for number of police in schools and the percentage of arrests at schools. However, Washington looks to be in the middle for the number of arrests. The numbers on who gets arrested the most are quite interesting; take a look. Thoughtful op-ed from the New York Times about how lower income students could receive more encouragement to push onto college via direct messaging, counseling and texting. The number of homeless children in Washington continues to climb to nearly 40,000. It looks like it may be a clear night to see the moon, Venus and Mars to form a triangle. Bottom line: As soon as darkness falls on January 31, 2017, see a beautiful trio – the moon, Venus and Mars – gracing the evening sky. Look west! Welcome to this Seattle Public Schools district website navigation study. We are currently evaluating our current navigation structure for a project that will make district resources easier to find. This test addresses navigation for families and students. We will soon launch a study specifically for SPS staff. Please be on the look out for more information sent to your district email address. The activity shouldn't take longer than 10 to 15 minutes to complete. Thank you for your time! It is clear from many, many threads and comments that to talk about the Highly Capable Cohort (formerly known as APP) is to start a discussion about equity. I think that equity is certainly a part of the picture but to focus only on that is a disservice to all children who would benefit from the program. I'll say that again; there are children - especially those of color - who are not being found and served. THAT is the real issue. The district has been tweeting about this for a couple of weeks and they announced that it's here. 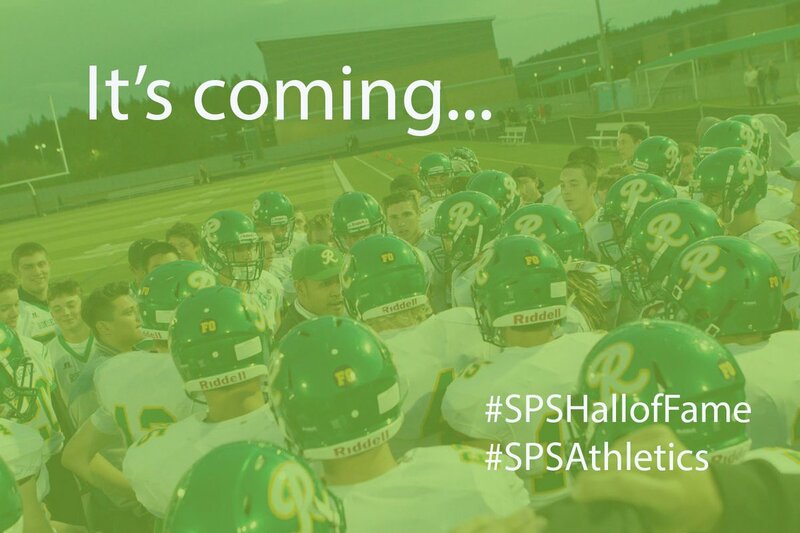 The SPS High School Athletic Hall of Fame celebrates the accomplishments of outstanding SPS high school student athletes, teams, coaches, administrators and athletic supporters. Our first class of inductees includes at least one from each of the 10 current high schools plus three schools currently not in existence. The Hall of Fame is to be run thru SPS but it's unclear to me if the district is in total control of any funds raised. Tickets are $100 per person for a reception and dinner. There is now also a "Seattle 500"
An inspired group of dedicated Seattle Public School alumni, parents, local sports organizations, community members and Seattle area business owners who believe in the importance of giving ALL SPS students, boys and girls, the opportunity to participate in quality high school athletic programs and who commit to ensuring that no student athlete will ever have to Pay to Play. Each member of the Seattle 500 will give a minimum of $500/year for at least two years. I'm assuming that "500"in Seattle 500 is the amount, not the number of people in the group. The primary goal of the Seattle 500 is to ensure that no student athlete will ever have to Pay to Play. Dollars raised above the need for student scholarships will be used to support a variety of programs and needs at ALL 10 Seattle high schools. This support could include such things such as uniforms, equipment, coach stipends, after-school tutoring and athlete/coach transportation as needed for teams participating in playoff and championship game. I'm sure that this support will be split equally for boys and girls sports. Completely equally, meaning that boys football and basketball teams don't get more than any other team. But I wasn't asked my opinion so this is a fine thing that is happening. I'm just not sure how much you can base an athletic budget, in the long term, on good will. Leschi Elementary School will receive a $10,000 grant from tech companies, Softchoice and Lenovo in order to expand the school’s technology development and student learning in classrooms. The money will be used to purchase iPad Airs and OSMO kits for all intermediate classrooms. Students will be able to use the educational tools every day. It's the Lunar New Year (Year of the Rooster); here's Parent Map's list of activities for kids. I recommend the ones in the International District. Once again, Washington State is near the top for the number of board-certified teachers, nearly 15% for our state and fourth in the nation. Congrats to all the teachers who went thru this long and difficult process. Every year the Washington State Teacher of the Year (TOY) program selects one outstanding educator to serve as the Washington State Teacher of the Year. OSPI accepts one nomination from each of Washington’s nine educational service districts (ESDs). A state winner is selected from this group of regional nominees. For more information about the program or to nominate, visit: http://bit.ly/2018ToYNom. So if the Senate refuses to hear the levy cliff bill, down the district tumbles. I have to laugh at the argument that the "real" work is McCleary and the levy cliff is a "distraction." Nearly every single legislator has a school district that will be affected by the levy cliff and boy, when it happens, I hope their constituents howl. On Friday, Republicans released an education plan that would eventually avoid the levy cliff if passed by the Legislature. There is analysis of their plan to be done but the early issue you can see is that Seattle will take it on the chin, property tax-wise. A great map from WA Dems showing legislative districts and then, the school districts in them and how much money they would lose via the levy cliff. Remind these senators what this could mean for their own school districts to lose that kind of money. We can do this! As Yogi Berra said, "It ain't over until it's over." Sen. Marko Liias, D-Lynnwood, said Senate Democrats have identified ways they can bring legislation to the floor without the aid of Republican Senate leaders. But Democrats are hoping that Republicans agree to bring up the measure, House Bill 1059, using the normal channels, so that such an action isn’t necessary, he said. It appears that the vote would take place on Saturday. The State Senate will vote on Friday morning at 10AM on an important procedural motion that, if adopted, would allow a vote on the bill to delay the levy cliff soon afterward. We need to flood Senate offices with calls urging them to bring this bill, HB 1059, to the floor and then to vote yes on it. Need to find your Senator or their phone number? Click here and urge your Senator to immediately pass the bill to delay the levy cliff! If you need a script: “Hello, I am your constituent from [name your city or town]. I need you to vote to bring HB 1059 to the floor and vote for the bill. We must delay the levy cliff so that teachers don’t get fired and students don’t lose important classes and programs they need to succeed. I know you have the power to save our schools from financial peril and I need you to lead on this." Call your Senator right now and urge them to immediately pass the bill to delay the levy cliff! Click here if you need to find your Senator or their phone number. Below are some of the Senators who most urgently need to hear from the public. If even just one of them votes yes, the bill can pass and our schools will be saved from the levy cliff. If you or anyone you know lives in any of these legislative districts/areas, please ask them to call their Senator right now! Please consider calling Washington state Senator John Braun at (360) 786-7638 and ask him to schedule a hearing and vote on the senate floor for HB 1059. I called today and explained about this blog and the aide said they are "getting a LOT of calls" so please keep it up. Date: Sat., Jan. 28, 2017, 10 a.m. - 2 p.m.
As an earlier post noted, 1059 has been referred to Senate Ways & Means. If you want it to get a hearing there, the person to call is Sen. John Braun, R-Centralia, chair of the Senate Ways & Means committee, at (360) 786-7638. You could say something like, "I'm a public school parent and I wanted to express my support for HB 1059, which was just referred to the Ways & Means committee today. I hope the committee will hold a hearing on the bill soon and that Sen. Braun will vote in favor when it does." Some of the senators on the Ways & Means committee co-sponsored the companion bill, some did not, so I thought those two groups should get a different email. First, here are the emails of those who did not. Your email could say something like, "I'm a voter and a public-school parent and I wanted to express my support for HB 1059, the levy extension bill, which was referred to the Ways & Means committee today. I hope that the committee will act quickly to give schools certainty and avoid teacher layoffs. We want our educators focused on teaching, not budgeting! Please support this bill." Several articles on this topic have crossed my computer screen so let's dive in. One of my favorite public education bloggers, Mercedes Schneider, had this fascinating thread at her blog, Deutsch29, "Media Matters: Reporting on Corporate Reform and Omitting Walton, Gates, and Broad." The Skills Center of Seattle Public Schools is asking students and families to take a brief one-page survey about current and future courses being offered. The Skills Center offers free classes to high school students looking to explore and prepare for different career fields by taking courses led by industry professionals. These courses are offered during the school year and in the summer. The Skills Center offers courses in aerospace, auto technology, nursing, digital animation, construction, culinary sciences and more! These classes enable high school students to gain skills in different careers, for free, while attending high school. If a course isn’t offered at your school, free transportation is provided. In many cases, students can earn college credit. Some courses also offer industry certification upon completion. Help us serve more students and make advanced Career and Technical Education (CTE) opportunities accessible to all by taking this brief survey by January 27th. For more information about the Skills Center visit the Skills Center homepage. This was posted yesterday and so the district is taking about three days for this survey. Good luck with that. The Special Education Department is hosting Regional Meetings for staff, families and the community to learn more about Special Education in Seattle Public Schools. The topics will include information about changes in the department and updates about the Continuum of Services for children with special needs. We want to hear directly from you as we continue to partner in improving services for our students. You will have an opportunity to meet Wyeth Jessee, Chief of Student Supports; Michaela Clancy, Director of Special Education; Trish Campbell, Interim Director of School Based Special Education Services; the Regional Supervisor and Program Specialists for your area; Margo Siegenthaler, the Special Education Ombudsperson; Parent Partners; Hannah Marzynski the Special Education Parent Liaison; and other special education staff. We look forward to having this opportunity to meet with you. Please come! So why do I have this tweet graphic that SPS sent out this morning? Read on. The Superintendent has a budget update page at the district's webpage. In it, he thanks supporters of Seattle Public Schools and notes the efforts being made to avoid the levy cliff and fully fund McCleary. There is also an Executive Session at the end of the meeting for "evaluate the performance of a public employee." The City's explanation of the money spent is a series of somewhat tortured charts. I cannot ascertain how much of the 25% holdback money based on outcomes that the district did end up receiving. The City wants to expand into between 3-10 more classrooms (no schools named.) Except for brand-new buildings, it's unclear to me where that space is. They want to have a decision by early March. See page 12 for an interesting list of questions and the answers that follow. I'm not sure there is enough clarity there for a reader to understand what is being talked about and the outcomes. It also appears that Capital may borrow money from the General Fund and vice versa. How that happens and how it helps is unclear. Curriculum adoption and implementation seems to be a key area that staff is looking for savings. The next Work Session is Feb. 8th. Mostly overview of the department, although someone needs to decide if their name is Admissions, Enrollment or Assignment. It's confusing when the Work Session uses one term and yet the presentation uses another. So why the "SPS Hall of Fame" for Athletics graphic? First, it was what the district tweeted out this morning. But maybe that's because the district is anticipating a national title for Hale's manufactured and imported basketball team and that surely needs a big acknowledgement. I see the Superintendent supported the National Day of Racial Healing last week. What's odd is that his press release/tweet about it was put out yesterday. I also note from SPS twitter that Eckstein had a lockdown last Friday for about 25 minutes - Staff followed procedure in response to a student behavioral situation. All are safe and classes continue. Tomorrow, Wednesday, Jan. 25th, is another kindergarten enrollment day at Rainier Beach Community Center from 6:45 pm to 8:45 pm. The Washington State House passed a measure yesterday to prevent the levy cliff until 2019. A couple of Republicans crossed the aisle to pass the bill. The Senate has yet to even get it out of committee but I think the pressure is on to get it to the floor of the Senate for a vote. Hale's basketball team is #1 in the nation and the Times examines how that team came to be. Oh look, the White House website is now no longer available in Spanish or has info for disabled readers. On the other end of the political spectrum, a Saturday Night Live writer was suspended for a tweet about Trump's youngest son (who is a minor.) Note to all: underaged children of elected officials are off-limits. Always. In a news conference Tuesday, Hood said Google is breaking Mississippi consumer protection law by selling ads using data from services it provides to schools. "They're building a profile so they can advertise to them," Hood said. "They expressly stated in writing that they would not do that." The suit says Google could be fined up to $10,000 for each of its student accounts in Mississippi. With half the state's school districts using Google's email, calendar and other online services, that amount could top $1 billion. Hood sent a letter to local school superintendents Friday asking them to preserve evidence to help with the lawsuit. He's advising parents to consult their local school systems. The Seattle Public Library Foundation announces the Stimson Bullitt Civic Courage Scholarship Competition. Essay submissions will be open from January 1 – March 15 and should be submitted here. Please make sure to fully read the eligibility and rules and judging criteria before submitting your essay. There are several reasons to raise this issue. A student-made video on the state of one school in Seattle. A vote in the Senate education committee on Betsy DeVos' nomination for education secretary tentatively scheduled for next Tuesday has been delayed by one week. On Friday, Sen. Lamar Alexander, R-Tenn., the committee chairman, announced that the vote will now take place on Jan. 31 at 10 a.m.
Also, please add your voice against the appointment of Betsy DeVos for Education Secretary. Well, that didn't take long - 30 months in fact. From the Sacramento Bee. It's unclear what he will be doing next. Apparently, some students at Jane Addams Middle School walked out of school just before noon and joined with students from Nathan Hale High School who were also walking out in protest. Women's March, tomorrow, January 21, 2017.
and members of the African American Male Advisory Committee. I'm not sure I agree with this action but certainly it makes a point. We have spoken with his Governmental Relations team, his Department of Education team and the Budget Director for the city. We have attended at least 4 meetings to explain the situation. It is on their leg agenda. When is Republican Plan for McCleary? "None of your business"
From a news conference the GOP held this week in Olympia in answer to a reporter's question, straight from the lips of Senator Mark Schoesler, "It's none of your business and you will be the last to know." Another reporter pointed out that the first reporter was just doing his job and yes, it is relevant. Do contact the Senator if you believe that it is everyone's right to know the plan for fully funding public education in Washington State. He's from the 9th Legislative District, part of six counties including Adams, Asotin, Franklin, Garfield, Spokane, and Whitman. I'll let you know if this comes to pass in the next 24 hours. And it came from a librarian. So Ms. DeVos wants to give money to every kind of school, public or private BUT she will not say whether they should have the same accountability standards whether for testing, Special Education or reporting bullying/student behavior. This interchange with Senator Tim Kaine is eye-opening. There is a kindergarten fair tonight at the Ballard Community Center from 6:30-8:30 pm. I am only noting this because there is no announcement on the district's homepage nor is it on the district's calendar. I only learned of it from Twitter. It is at the Enrollment page. Hazel Wolf K-8 School (11530 12th Ave NE) is hosting an information night for ELL families on February 9, from 6 - 8 pm. Amharic, Arabic, Somali, Spanish, and Tigrinya interpreters and Admissions staff will be present to register new students for the 2017-18 school year. Click here to download the Hazel Wolf event flyer. The last notice is about the Seattle Art Museum. They are having a FREE weekend, starting this Friday and lasting thru Sunday. You do need to have a ticket for this event. If you go on Saturday or Sunday, you also get to see the new Jacob Lawrence exhibit. Over these three days, all permanent collection galleries will be free. Starting Saturday, January 21, visitors will also be able to see the new special exhibition Jacob Lawrence: The Migration Series. Acclaimed as Lawrence’s masterwork, this epic series comprises 60 tempera paintings and chronicles in words and pictures the mass exodus of African Americans from the rural South to the industrial North in the decades after the First World War. The SAM exhibition provides a rare opportunity to see the entire series which has not been shown on the West Coast in two decades. Of course not but I'm not sure most parents want to pay for someone's child to get religious training. Our nation's schools are filled with talented, devoted professionals, who successfully meet the needs of many, many children. Remember that one when Trump, et al go after teachers unions. Teachers are the union. For me, it's simple; I trust parents, and I believe in our children. I'm not sure if that's simple or simplistic. Apparently there is a move among middle/high school students in Seattle schools to walk out in protest during the presidential inauguration this Friday, the 20th of January. Some sad news on two fronts. My daughter and her friends were playing at Bryant this morning when they texted me with concern about glass and jewelry, and "gun powder" on the playground. I walked over to see for myself and sure enough there were empty beer cans, stolen jewelry and a pile of white powder with a razor blade, etc. I called the police who came surprisingly quickly and confirmed the white substance was Meth. Ugh. They took it to the station for evidence but left the jewelry and glass suggesting that I call the parks to come and clean it up. A very surprising site to say the least. Still researching who to call for clean up. Allen Greenberg, beloved recess monitor at Cascadia Elementary in Seattle, passed away unexpectedly. Allen spent his life giving to others - always looking out for the less fortunate. He often stopped by Solid Ground to pick up food for the homeless and volunteered his time to help those less fortunate after recess duty. He had an impact on everyone he came in contact with. Funds will be used to help with funeral expenses, including travel to New York for his daughter and granddaughter. Anything you can give will be appreciated. Super inspiring to see these kids putting in the work for funds that most likely won't even affect them. Want to know what that ** notation is? For the 2016-2017 pilot year, the degree to which program leaders were identified as willing and collaborative partners in the review process was a key criterion considered. Wait, what? The district has to ask program directors to cooperate in a program review and cross their fingers that the directors will be "willing and collaborative partners?" So remember that the BEX IV Contingency fund is 90% used up (even though they are only thru 50% of the projects) and the Capital folks are getting a "loan" from the General Fund because of that? Well, they are asking for at least $240,000 because that's how much Cedar Park's project is over its budget. It's amusing to see that they did not include portables in the budget (even though they knew they would be using them) nor sidewalk improvements (I'm guessing they thought the City would pay for this) and they didn't include furniture or technology. What's the Matter with Seattle Schools? I have always been an action-oriented person who believes that there are solutions to problems. But, as it was stated in the Moss-Adams report (from the Olchefske scandal in 2004), if you don't change the culture of a bureaucracy, you will change nothing. The things that have been wrong with this district since 2004 are the same things. Which makes trying to track and follow the inner workings of the district tiring, frustrating and frankly, at this point, useless. Charlie calls the problem "a culture of lawlessness" which is true but I would be more inclined to say it's a silo culture of hunkering down at headquarters and a near-complete lack of understanding about how to run a school district properly. The leadership at the top that refuses to see/acknowledge problems, no matter how many red flags get thrown up, how many scandals occur or how many finding come from auditors, either internal or at the state level is also troubling. I have met many good, decent people who work at the district headquarters through the years. I think people's hearts are truly in the right place but the leadership's view of how to get to the top of the mountain is flawed. It's a bit dizzying to consider the number of superintendents, board members and staff members that Charlie and I have outlasted. If you don't want to read my treatise thru to the end, here are the Cliff notes. Update: Summer Stinson from WPD reports that there are about 6500 parents and kids rallying for civil rights and education in Olympia today. I'll have a fuller explanation in another post about the district but frankly, it's just not worth my time. The bill, HB 1059, simply ensures districts don't have to lay off teachers and staff and cut millions this Spring, but delays it until full funding is supposed to occur. That's all it does. Every member marked R voted NOT TO DELAY THE LEVY CLIFF. It squeaked by anyway, thank goodness. I really enjoy walking the halls of any of our schools. You never know what will be on a bulletin board or wall. Roosevelt had this sign on the wall recently. Would You Contribute to More Equity in Seattle Schools? I wonder how things would be different if there were an education fundraising group in Seattle that was less political and less in the pocket of the Chamber of Commerce than the Alliance for Education. Would people contribute to it generously? What sort of grants could it make (or should it make)? This is a question that comes up with some frequency around PTA fundraising which is inequitable in Seattle Schools. Superintendent Nyland, along with other superintendents throughout the region, laid out the problem with the levy cliff yesterday. There's a good Q&A on the issue. “This is a critical issue for our districts and for the 420,000 students we serve,” said John Welch, PSESD superintendent. “The $228 million we could lose beginning in 2018 if the current levy lid is not extended translates into fewer teachers, bigger classrooms, and a lower quality educational experience for the students. Meanwhile, over at the Washington Policy Center, it's all about breaking "a promise" to taxpayers to sunset this legislation. They completely ignore the fact of the outcome of not extending it for a year AND the fact that the legislature has not completed McCleary. That was a huge promise that has not been fulfilled. Basically they are saying, "you districts knew this was coming and you already get a lot of money that you spend incorrectly so too bad." The Cedar Park Planning planning meeting announcement has been updated. Cedar Park will be opening as an Expeditionary Learning Focus School! I don't recall Expeditionary Learning being discussed as one of the possible options during the meeting back in December??? Cedar Park will be opening in the fall of 2017 as an Expeditionary Learning focus school. Come learn more about Expeditionary Learning and what it has to offer (http://eleducation.org/). Let’s start planning for the opening of an AMAZING school. Bring your best ideas about how we can start Cedar Park with a BANG! We can do it! Who: We need YOU All parents, guardians and interested community members are welcome! Fascinating how this school just morphs from thing to thing. What even more curious is the day and time. It's January 20th at 12:30 pm. A Friday in the middle of the day. Curious. Come learn about the latest updates for Cedar Park Elementary. Let’s start planning for the opening of an AMAZING school. Bring your best ideas about how we can start Cedar Park with a BANG! We can do it! Here is a link to last night's Work Sessions on the budget for 2017-2018 and the SAP Transition Plan for 2017-2018. I note that the microphone for Geary/Burke did not appear to work as well as the others so if the sound from them is different, that's why. The Friday Memo for January 6 doesn't have much in the way of news, but it does form a pretty nice round up of the news from the past month. Update 2: It looks like Amendment one is NOT going to pass (grandfathering). Director Burke is going on a very long-winded explanation about why he (appears) to be voting no. Blanford and Geary are saying it's equity versus equality and it's not fair to the kids who will be going to RESMS. Pinkham was worried people would think he would support this amendment in order for there to be more room for Licton Springs. Final vote 2-4-1 with Peters and Patu in favor and Pinkham abstaining because of the pending vote on room for Licton Springs. Update at 6:29 pm : yes, the Work Session on the Budget is still going. Staff wants a consensus tonight (which is not what the Board expected.). I think there is a big squeeze on the Board but they are pushing back. Everyone is at the table but Director Patu. Lots of staff who seem surprisingly cheery for a serious budget meeting. Superintendent is saying this is a manufactured crisis and on the Legislature. Director Geary and other staffers were in Olympia this morning, visiting Seattle delegation. "The stalemate continues" there. Note: this is being broadcast on Channel 26 and live-streamed at district website. There will be a press conference with 35 school districts tomorrow about levy cliff. But former superintendent Randy Dorn, who originally filed the lawsuit in July in King County Superior Court, said he plans to continue the legal action as a private citizen. On this, my first day as Washington state’s Superintendent of Public Instruction, I have directed agency lawyers to take immediate steps to dismiss the Superintendent of Public Instruction from the Dorn vs. Washington lawsuit. Seattle Schools' staff will be making a budget presentation at tomorrow's Work Session about the 2017-2018 budget. - Are people more essential than other non-staff items in eliminating opportunity gaps? - While reducing the budget, how can we continue our goal to address opportunity gaps? - Because we will need to reduce school funding, how should we identify schools that need the most help/funding? Meeting Broadcast: Due to the nature of this meeting it will be broadcast live on Channel 26 and streamed online. Director Peters has withdrawn her Amendment 4 which would have made Decatur an option school. Most of my readers know by now that I am very interested in capital issues and funding. I care for two reasons. One, every single student deserves a clean, well-maintained, safe building to call "my school." It would be great if the technology is up-to-date and there is natural light and flow to the building to create an inviting atmosphere. Two, the taxpayers of Seattle vote in ever-increasing huge sums of money for these buildings. And, yet the district does not maintain the system properly. As well, the district has a very convoluted idea that they can move money around from BEXs and BTAs and claim all the work promised will be done. I have disputed that claim for a long time and I still believe it. There has never been a transparent accounting of all the dollars in the BEXs and BTAs and what work actually happened. Never. I can only say I'm appalled. I'm sure there are MANY reasons for what is happening as stated in the minutes but, at this point, I don't care. In an interesting turn of events, the hearing on the nomination for Betsy DeVos to be Education Secretary has been postponed. For a week. President-elect Trump has nominated someone to lead the Department of Education who has spent her career trying to privatize public education. We need real stories about the value of public education to help fight back -- share yours today. There are some early bills to be aware of. What to Do With Juvenile Offenders? It's a big question especially around young people who are alleged to have committed a serious assault, sexual assault or murder. But, the issue of the school-to-prison pipeline looms large. In 2012, Seattle Voters and KC voters approved a $210M project levy. It is somewhat in dispute whether or not voters clearly knew the money was going mostly for a new detention center. From a report from King County Executive Dow Constantine as well as Councilmember Larry Gossett and Susan Craighead, the presiding judge of the King County Superior Court from March 2015 to the Seattle City Council regarding the "Race and Equity Action Plan." Update: The order of items for next week's Work Session that includes the SAP Transition Plan has been switched. The budget for next year will be discussed first, (from 4:30-5:45) and THEN the SAP Transition Plan will be debated from 5:45-7:00 pm . I don't know why the switched has happened but I venture that perhaps the high interest in the topic spurred the change to try to allow more parents to attend. I I am somewhat disappointed as this is the same night as the talk at Garfield High but it was probably the right thing to do. Also, Director Burke is having a community meeting on middle school assignment on Tuesday, January 10th from 6:30-8:00 pm at Green wood Elementary. Also to note, there is no interaction between those at the discussion table and the audience. But signs are allowed. Dearborn Park closed today due to a water main break. Our city has lost another great activist (and former School Board member), Al Sugiyama. Mr. Sugiyama ran for the Seattle School Board in 1989. At that time, Asian students made up about a fourth of the district population, but an Asian American had never been elected to the School Board. He won, and during his eight years as a board member, he advocated for bringing language programs to schools in Seattle’s South End. He opposed the district’s busing program, which he said didn’t improve academics for students. Very troubling story from the PI - a female student at Chief Sealth was being blackmailed sexually by another former student. The harassment and coercion persisted for about 15 months between late 2013 and early 2015, police reports say. Seattle police believe he may be connected to additional sexual assaults of other high school students. The relationship between Martinez-Mancha and the student one year his junior was revealed to school authorities in late January 2015 when the girl wrote an essay for a class about the extortion and assaults, police reports indicate. The teacher verified with the girl that the story was true and reported the matter to a school counselor, a mandatory reporter who called police. Again, no community meetings with directors this weekend. Just wanted to give advance notice of this talk but I will have more to say soon. I greatly admire Ms. Burris and look forward to her talk. To note, the Work Session on the SAP will also be that day at JSCEE but it is from 4:30-5:15pm with a Work Session on the Budget to follow from 5:15-6:45 pm. It is very disappointing that not a single Board member will have a community on Saturday in order to talk with parents about the SAP and get their input. Wednesday, January 11 - 6:30 – 8 p.m.
Carol Burris will deliver a keynote address regarding the tremendous benefits of detracking, and how ranking students based on their perceived intellectual abilities creates defacto segregation in our schools. Wayne Au, Professor of Education at the University of Washington, Bothell, will also be joining us on a panel of local educators and students who will share their stories and insights regarding inclusion and high-stakes testing. Let's start with this disclosure: I agree with Director Geary. At 46th Legislators Town Hall meeting, Sen. David Frockt revealed that Speaker Frank Chopp pledged today that a bill addressing the "levy cliff" would be the first to pass the House and go to the Senate. However, in the Joint Education Task Force meeting today (via TVW), Senate Ways &.Means Chair John Braun said that they do not intend to address the levy cliff (expiration of added levy funding lid) until after McCleary is funded. In other words, the GOP will use it as a bargaining chip. If the schools do not get an extension by March, their budgets will include pink slips to teachers and staff for next fall. This - is - wrong (and I KNEW this is how it would play out and tried to tell both the Governor and Chopp.) Thanks to the Governor for believing this would get done when he could have forced a Special Session to get this levy cliff nonsense done. Understand, that the GOP members in the Legislature are now not just holding an entire state's public school children in wait for fully-funded schools, they apparently will allow some districts to endure pain and hardship. I'm just diving in (I bypassed the annual report on the Native American program but will come back to it.). Listening to the Superitendent, he is talking about the budget and the cuts that will need to be made. He said beyond staff that things that are thought of as regular-type items in the district like "dual language and Options schools" might be on the chopping block. I am baffled at this, both from a logistics point of view and given that the district has never really explained the extra expense from either type of program. He said there would be a Board Work Session on the budget on January 11th. Feb.11th is the date schools will be notified about staffing cuts. The Legislature starts its work this Monday. The confirmation hearings for Betsy DeVos will happen shortly. Please call your senators this week and let them know you oppose her appointment as Secretary of Education. If you called already, please call again. It is most effective to call a local office. Below is the list of local office locations to drop off a letter, and local numbers to call your senators. I am writing to call Seattle Public Schools (SPS) to shield high poverty schools from these budget cuts. It is challenging to write this because, in order to prove the importance of this move, some may feel the need to hear about what communities lack. I want to focus on the assets of our community and school: the ways we are strong, resilient, complex and creative, rather than what individuals or groups in our community don’t have. Beacon Hill International School is a vibrant, hardworking community committed to learning, growing and critical thinking. The subject for every speaker on tonight's Board meeting public testimony list? The Student Assignment Transition Plan for next year. As well, there is now an Amendment 5, put forth by Directors Pinkham and Burke. It gives Licton Springs K-8 the same amount of space they currently have at Lincoln with the intent to help them to grow to 250 students. It hopes to prod that growth by encouraging collaboration between the LS K-8 program and Robert Eagle Staff Middle School program. (There are just four amendments total with one already withdrawn.) The growth will be revisited no sooner than two years from 2017-2018. Did you know the Superintendent has a blog? He does. I would not have known this as no formal announcement was put on the website homepage; I saw it in a tweet. Here is a list of 42 schools that fail to adequately address their plan for serving advanced learners in their CSIP. Is your school on the list? Does it belong on the list? You can find all of the CSIPs here. What happened when Washington Middle School dissolved Spectrum? Washington Middle School decided, some time ago, to dissolve its Spectrum classes. Spectrum-eligible students at Washington would no longer be in self contained classes for English and Social Studies, but would be mixed in with the general education students, called "scholars". The school promised that the inclusive classroom would provide more rigorous instruction for all students and that all students would benefit. Is that what happened? To note; even though SPS is not open tomorrow, Monday the 2nd, you can sign up for the speakers list for public testimony for Wednesday's Board meeting. Starting at 8 am, either call 252-0040 with your info or send an e-mail to boardagenda@seattleschools.org.